Jon Jay’s homer in the bottom of the ninth inning brought the Cardinals all the way back from an 8-0 deficit to tie the game at 8-8, but in the 13th inning, a ground rule double by Ramon Hernandez put the Reds on top for a 9-8 win. It did not start well for Jake Westbrook as the first five guys got on base including home runs from Chris Heisey and Jay Bruce to go up 5-0. Westbrook was charged with seven runs in 4.1 innings. Chris Heisey, Jay Bruce, Fred Lewis and Scott Rolen homered for the Reds, who led 8-0 in the fifth but managed only three hits over the next seven innings. 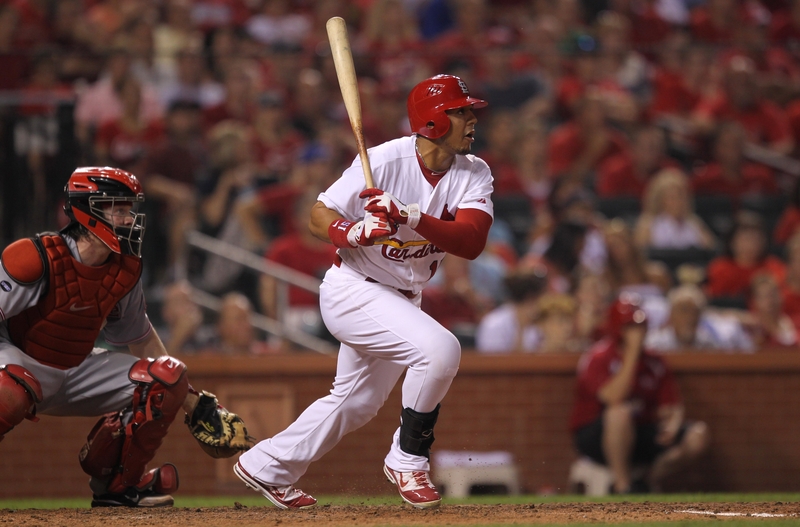 The Cardinals rallied when Matt Holliday homered for the third time in two games and Albert Pujols had an RBI single in a five-run seventh for the Cardinals. Pujols was 1 for 6 in his first game back from the DL. 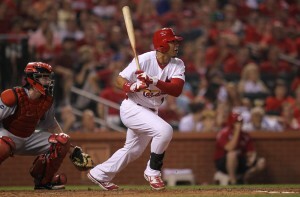 Jay’s homer in the ninth off Francisco Cordero was only the third blown save in 20 chances for the Reds closer. Daniel Descalso, matched his career high with four hits and had two RBIs.